Honestly, both oxygen bleach and chlorine bleach work well in terms of cleaning power. So it really depends on what your goals are as to whether or not you should choose oxygen bleach or chlorine bleach. Chlorine bleach has been around since the 1800’s and has been used on everything from getting whites white to cleaning toilets. Oxygen bleach can do the same things as chlorine bleach, but it definitely has some advantages for those choosing to live a healthier, more environmentally safe lifestyle. It used to be said that you should add bleach (up to 3/4 cups per load) to all white laundry, otherwise body oils and residue would remain in the clothes. These days, oxygen bleach is the preferred ingredient, rather than chlorine bleach. #1 You will get rid of stains and dirt without exposing yourself and your family to toxic chemicals. Powdered oxygen bleach is made from natural soda ash or borax and hydrogen peroxide. Also, oxygen bleach works by releasing its oxygen once it is exposed to water. This leaves only borax or natural soda ash as the by products, both of which are non-toxic to humans, animals and plants making them ideal for the person trying to live an eco-friendly lifestyle. #3 You can mix oxygen bleach with other cleaners. The same cannot be said for chlorine bleach which can actually make toxic gas if it is mixed with other cleaners. Not to mention the fact that chlorine bleach can cause your septic system to malfunction! #4 Oxygen bleach actually brightens fabrics. With chlorine bleach, the same can only be said with whites, not colored fabrics. #5 Over time, oxygen bleach doesn’t break down the fibers in fabrics like chlorine bleach does. 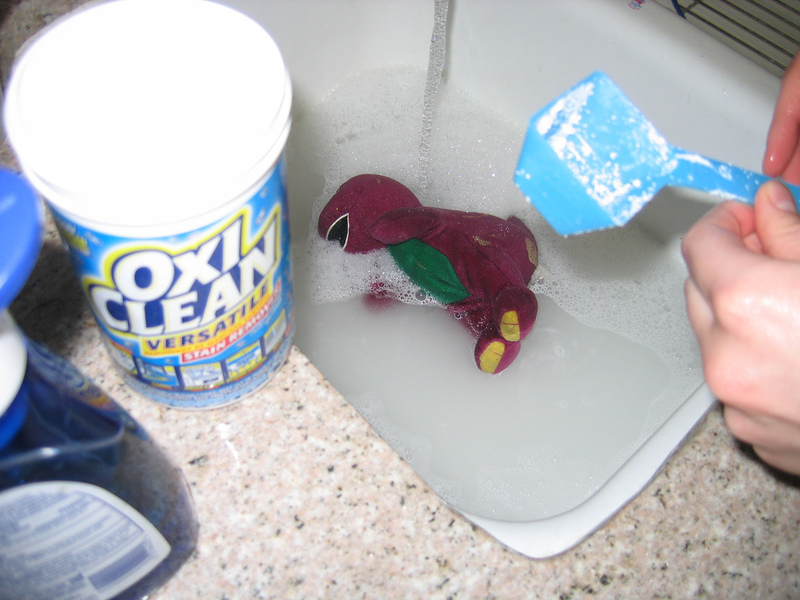 #7 Just as with chlorine bleach, you can use oxygen bleach in the newer HE washers. #1 Oxygen bleach tends to be more expensive than chlorine bleach which is one of the reasons some people prefer it.